Sometimes the best ideas for food come from my children I have been finding lately. 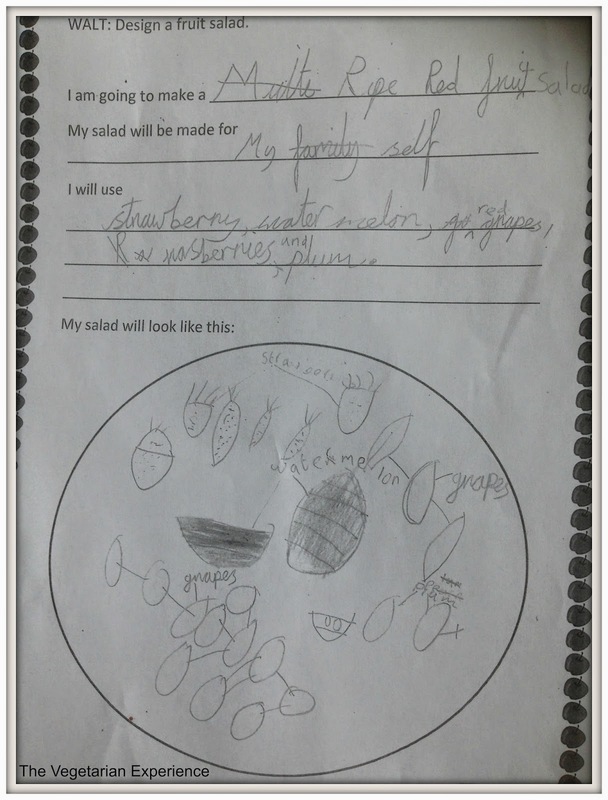 Eldest was tasked with a project at school, to create a Fruit Salad. Whilst most children would typically choose the usual Banana, Apple, Orange combination, she chose to opt for something a little more exotic and chose a colour themed salad which she eloquently called her "Ripe Red Fruit Salad". Now, I will warn you, this salad isn't cheap compared to it's counterparts, but when she bought it home and we tried it, it really was absolutely delicious and all of the ingredients really complemented each other. This is a fantastic, refreshing summery fruit salad - now all we need is the sun to shine! Wash the fruit. 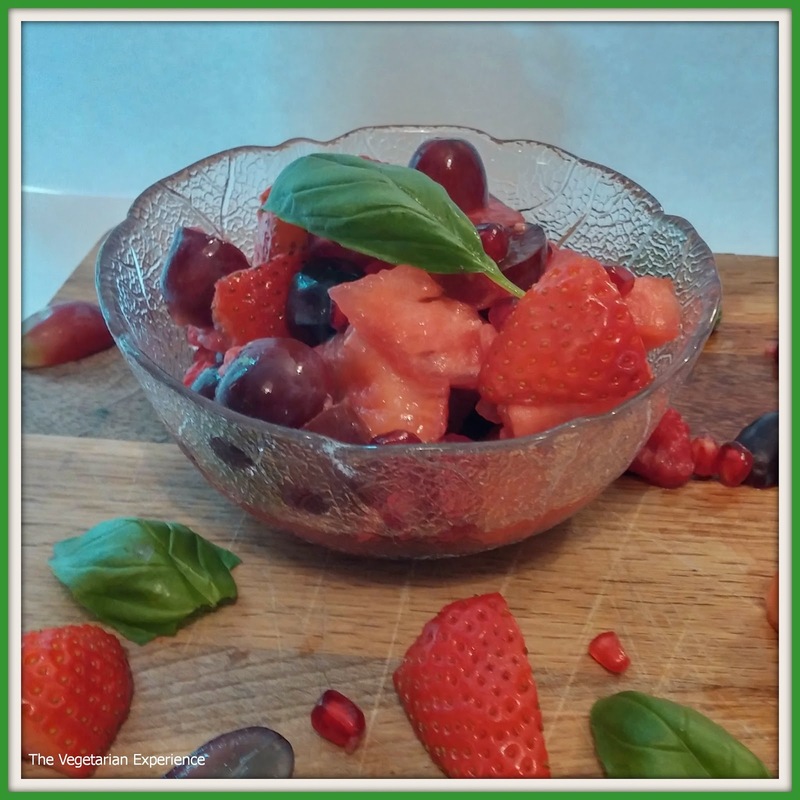 Cut the strawberries and grapes in half, and the watermelon into small pieces and then place in a bowl. Add the raspberries, blueberries and pomegranate seeds and mix together. Pour the apple juice over the top and stir well to combine. Serve immediately, or refrigerate.